In a Q & A recorded live at the Roxy Bar and Screen, Alex Fitch talks to magician Granville Markland about depictions of magic and magicians on the big screen, focusing on the work of Harry Houdini in such films as The Man from Beyond (1922) and the more recent blurring of fact and fiction in movies like The Prestige and The Illusionist. 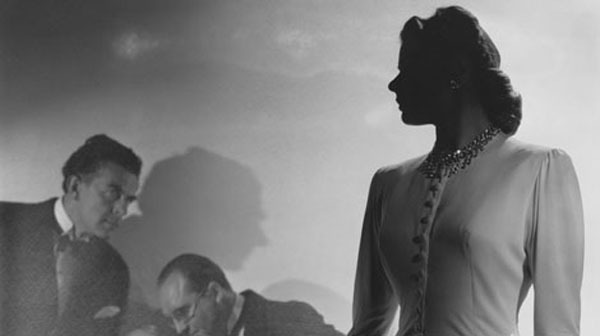 + Alex Fitch talks to musician and comedy writer Robin Warren from the band Liberation Jumpsuit about the recent BFI cinema re-releases of Hitchcock’s Notorious and Rouben Mamoulian’s Dr Jeckyll and Mr Hyde (1931), which combine suspense and eroticism to beguiling effect. 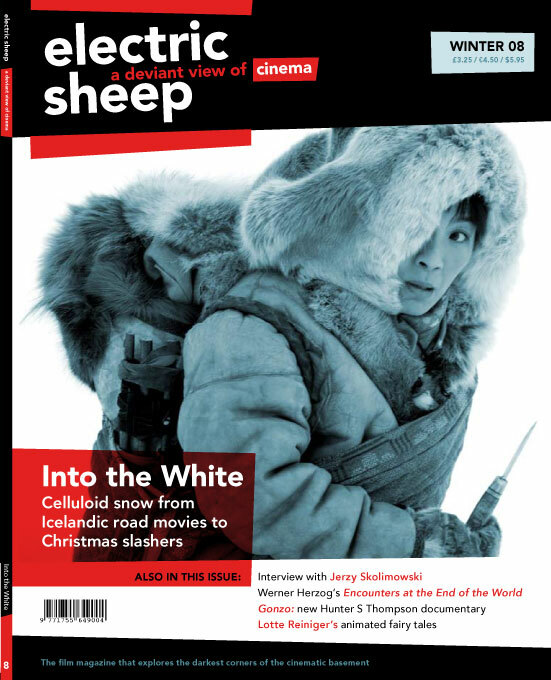 The winter issue of Electric Sheep explores celluloid snow with articles on Werner Herzog’s Encounters at the End of the World, Aki Kaurismäki’s Calamari Union, John Carpenter’s The Thing, Christmas slasher movies and cult Japanese revenge tale Lady Snowblood. Plus interview with Asif Kapadia, preview of the London Short Film Festival, reviews of Kiyoshi Kurosawa’s Tokyo Sonata and Béla Tarr’s The Man from London, and a comic strip review of Kamikaze Girls! Also in this issue: Interview with Jerzy Skolimowski, Lotte Reiniger’s animated fairy tales, Seeing Double review of Salí² or the 120 Days of Sodom.